The information profession is rapidly evolving. Do you have the skills employers seek in job applicants? 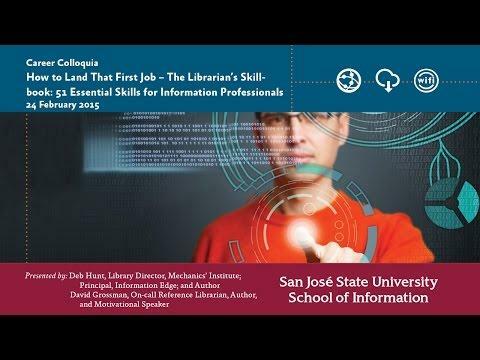 Join the authors of the The Librarian’s Skillbook, Deb Hunt and David Grossman, to learn which skills are most sought after and how you can acquire the skills needed to gain a competitive edge and land your dream job. Hunt and Grossman will also show you how to identify your transferable skills. This is a Career Colloquium you won’t want to miss! One free copy of The Librarian’s Skillbook will be raffled off to the colloquium audience during the live event.